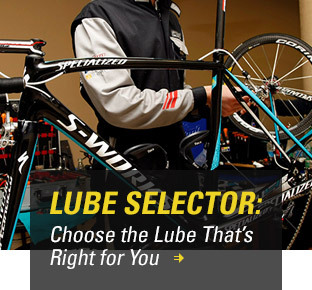 At Finish Line we pride ourselves on being the "The Lube Experts" for the bicycle industry. From the start, way back in 1988, Finish Line has formulated all of its own products. With feedback from professional cyclists, their mechanics, and specialty bike shops around the world, Finish Line is able to make sure its products are performing at a level that will not disappoint even the most demanding cyclists. 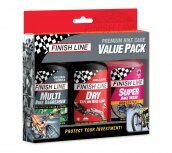 Finish Line has everything a cyclist needs for taking care of their bike and making sure it performs at its peak potential. 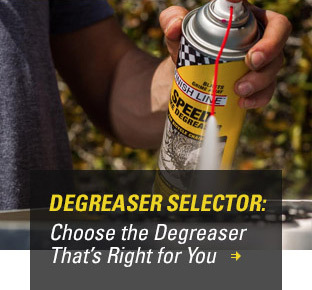 These products range from bicycle chain lubricants to drivetrain degreasers, from bike washes, specialty brushes and chain cleaning tools, to fluorinated bearing greases and specialty suspension and brake fluids. 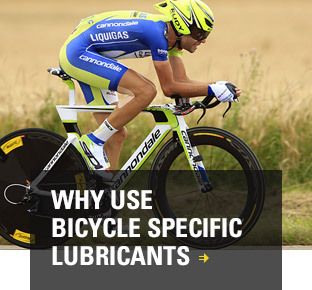 Check out our growing line of bicycle lubricants and care products. Don't miss our 'tech tips' section and instructional videos on our YouTube channel. Join in on our social media options, we promise to not over-whelm you while providing interesting industry information, insights and up-to-date bike maintenance tips. At Finish Line our passion is to make products that will enhance the performance and extend the life of your bicycle! May all your rides be smooth and fast. Everything you need for a perfect day on your bicycle.